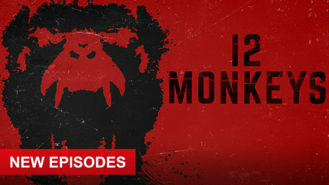 12 Monkeys (2015) on Netflix Ireland. Check worldwide Netflix availability! If 12 Monkeys isn't available in your country, or you are visiting a country where it isn't, there is still a way to watch it! In a post-apocalyptic future, a time traveler uses his powers to return to the present and try to stop the plague that is about to decimate humankind. He's traveling through time to stop a biological catastrophe. But finding out what really happened is going to be crazy.